Amazon Portugal : Do Amazon Ship to Portugal? 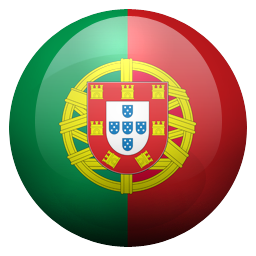 Amazon do ship to Portugal and other countries around the world. They will not ship every item that they stock to an Portugese address but there are millions of items on the Amazon store that they will ship to an Portugese address. Please Note: Clothing and shoe sizes might be very different in Portugal and you may need to use the Clothing and Shoe Sizes Converter when buying on Amazon. You also need to be aware of the power differences between the two countries. We strongly recommend following the 5 steps below to make your shopping experience on Amazon from Portugal as buttery smooth as possible. Follow these 5 Simple steps to avoid hassles and wasted time when shopping on Amazon.com from Portugal. When shopping on Amazon from Portugal (or anywhere outside the USA) then you need to start at the AmazonGlobal page, not the normal Amazon homepage. AmazonGlobal shows only items that can be shipped internationally outside of the USA. Not every item can be shipped to every country like Portugal but the next steps will cover this more. AmazonGlobal will also automatically calculate duty and tax estimation when shipping to Portugal and includes those fees (if applicable) in the checkout process. This is not the main Amazon homepage so make sure you record the address so you can come back to this page whenever you want. By Shopping at Amazon Global we have already removed millions of items that Amazon will never be able to ship outside the USA. Follow the next 4 steps to have Amazon identify items that they cant ship to you. You must login to an Amazon Account before you start shopping. If you don’t login Amazon will assume incorrectly that you are located inside the USA. Amazon will then automatically show you the item with the lowest price even if it’s just a few cents cheaper. But cheaper in the US is probably not we you are looking for when shipping to Portugal. Many third party merchants might have a lower price in the USA but will not even ship the item to Portugal or if they do their shipping costs are massive. If you don’t yet have an Amazon Account yet then you will need to create one before proceeding. Go into your account settings, click on Manage Addresses and setup your address in Portugal and then set it as the 1-Click default address. You do not need to activate 1-Click shopping but your Portugese Address must be set as the default. It is important that default address is setup before you start shopping as it queries this address to see if the item can be shipped to you. Without completing this step you will never be notified if Amazon can ship a particular item to your Portugese address until you checkout. Once you have logged in click on this button to open up your address settings. This is the part you have been waiting for. Go shopping and start selecting items you want to purchase. Even if you don’t want to checkout and pay for the items right now, add them to your cart and you can come back at anytime and start the checkout process. At this stage you will be viewing all items that have been flagged as being able to be shipped overseas by Amazon or the many 3rd party merchants who also sell on the Amazon site. Some of the 3rd party merchants have excessive shipping 2x, 3x, 5x and sometimes higher than Amazon themselves. We therefore recommend you follow Step 5. As you look at every item it will check to see if it can be shipped to your Portugese address. If it can’t it will indicate so in bold red writing. We highly recommend this last step. International shipping rates by many merchants can be excessive so it is best to only buy from Amazon who have low shipping rates. In the left hand column click look for the Seller box and you should tick “Amazon.com” to make sure you only view items that are sold and shipped by Amazon. So What If Amazon Will Not Ship An Item To Your Portugese Address? If the item you have your heart set on just will not be shipped by Amazon or a third party merchant from the Amazon website, then we would recommend the services of a Package Forwarder like Shipito.com. http://doesitshipto.com is a participant in the Amazon Services LLC Associates Program, an affiliate advertising program designed to provide a means for website owners to earn advertising fees by advertising and linking to amazon.com, endless.com, smallparts.com, myhabit.com, and any other website that may be affiliated with Amazon Service LLC Associates Program.